Eating out is a big part of life here in New York, and I’ve been delighted by just how many places offer gluten free options (if not an entire gf menu). I’d recommend taking a look at the rather wonderful Find Me Gluten Free – their app is my favourite resource for places to eat when travelling around the US. Lovely gluten free, vegan and raw food cafe – if you go for brunch I’d particularly recommend the pancakes, otherwise the cupcakes go down very nicely. Great range of juices and other interesting drinks, and nice coffee too. Tasty allergy-friendly baking, good coffee, great service – it’s probably just as well I don’t live any closer or I’d be in there every day! Very conveniently-located diner with an extensive gluten free menu – French toast, pancakes, even sandwiches (I recommend the BLT)! Can be a little hectic, so be sure to specify that you need all parts of your dish to be gf (apparently a friend found this out the unpleasant way when she was served non-gf fries, though I’ve never had a problem myself). Asian and Chinese food with a gluten free menu in addition to the regular one. Lunch menu for around $10. Their gf pork dumplings are amazing! 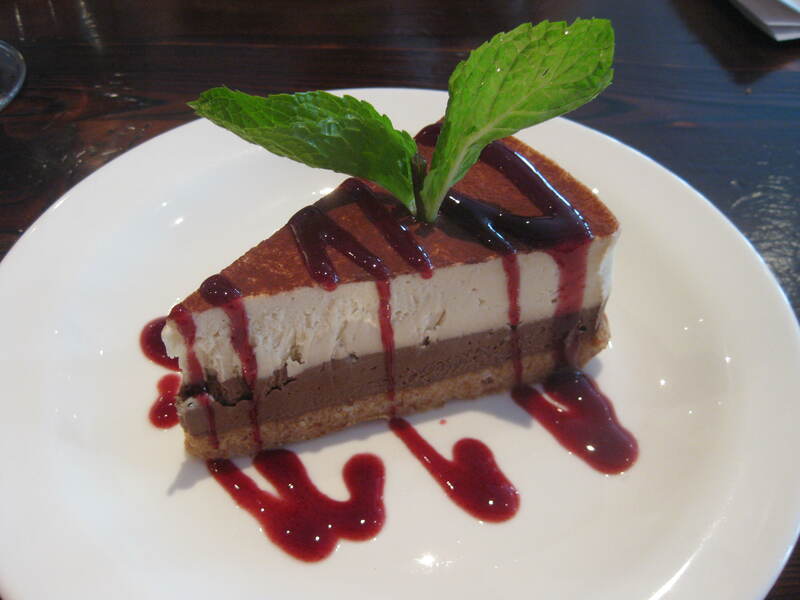 Extensive selection of reasonably-priced Italian classics, a dedicated gf menu, friendly staff and a nice atmosphere. We often take visitors here and everyone (gf and non) seems to like it a lot. Modern American cuisine in an attractive setting, I fell in love with Print when I asked what I could eat and the server replied “choose whatever you like and we’ll make it gluten free for you”. Not cheap (around $12-16 for an appetiser, $26-$36 entrees) but well worth it for a special occasion, the food was absolutely delicious. The Press Lounge rooftop bar at the same address is also highly recommended for a pre-dinner cocktail with fabulous views. Lebanese food in a sophisticated setting – an excellent business lunch venue, although they also serve some great-sounding cocktails. Many gf options available, and staff are knowledgeable and helpful. A 100% gluten free restaurant! Select your protein, add sides, and enjoy, or pick from one of the tasty seasonal specials. Looks like any other grab-and-go lunch place, with space to sit down if you prefer to eat in, no one would even guess it’s gf. Nice coffee and a selection of gf cookies and cakes too. Described as “the full service offshoot of its fast casual counterpart, The Little Beet“, I haven’t eaten here myself (yet), but if TLB is anything to go by this should be well worth visiting too. I always think it’s a good sign when the first question the waitress asks is whether you have any special dietary requirements, and Bistango did not disappoint! Lots of gf options, many of which could be made dairy free too – the pasta and pizette were extremely tasty, as were the ‘mousse’ (actually a kind of parfait/cheesecake, pictured above) and key lime pie for dessert. They also have a second location at the Kimberly Hotel on 50th street. Nice Vietnamese place with an extensive menu. Staff are happy to advise about gf options and are very good about checking with the kitchen too. Generous portion sizes – come prepared to share &/or take leftovers home. Our favourite UES diner has recently had a facelift, and reopened with the addition of gluten free bread and toast options to its already excellent menu. Go early for brunch or be prepared to wait in line, but it’s well worth it! I had to include a mention of this fantastic little gf grocery store, which has daily deliveries of freshly-baked bread, cakes and cookies, and extensive freezer and storecupboard selections. They also keep a list of local restaurants and cafes with gf options (apparently the pancakes at Cafe 82 are recommended), and their website is a treasure trove of resources too. Bright and lively bistro with a dedicated gf menu containing many of their ‘regular’ options – a brunch of eggs benedict on a gf muffin hit the spot nicely. Italian restaurant with a selection of gf pizzas on the menu, and one gf beer. There were some really interesting-sounding toppings on offer, though in the end I ordered a simple margherita. The crust was delicious – thin and crispy but not cardboardy like some gf pizza – and my non-gf companion was surprised how good it was! Lots of risottos (as you might expect), and other options as well. Nb. I haven’t eaten at this restaurant yet, but their previous location was excellent so I’d expect good things here too. 100% gf Italian restaurant, a little on the pricy side but very good food. Another entirely gf establishment, and able to accommodate df too. We ate brunch there, and enjoyed it very much. For those times when only chips will do – I’m desperate to try this Belgian-style purveyor of fried potatoes! Tasty vegan cafe-style food. I had a great dinner at their 185 Bleecker Street location, but have just discovered they have several branches around NYC (and beyond). I try not to patronise too many chain restaurants, but will make an exception where the food is good. They are also very useful for those times when a hassle-free quick bite is needed at short notice. Gourmet burger restaurants with a good range of meats, buns (one of which is gf) and toppings. Great fries and a good selection of drinks too (didn’t spot any gf beer but they do carry Crabbies ginger beer). Another burger chain which also provides a gf bun, and the eponymous 5 napkin burger is well worth a try. Some branches also carry gf beer. Mexican food in nicely-decorated venues. 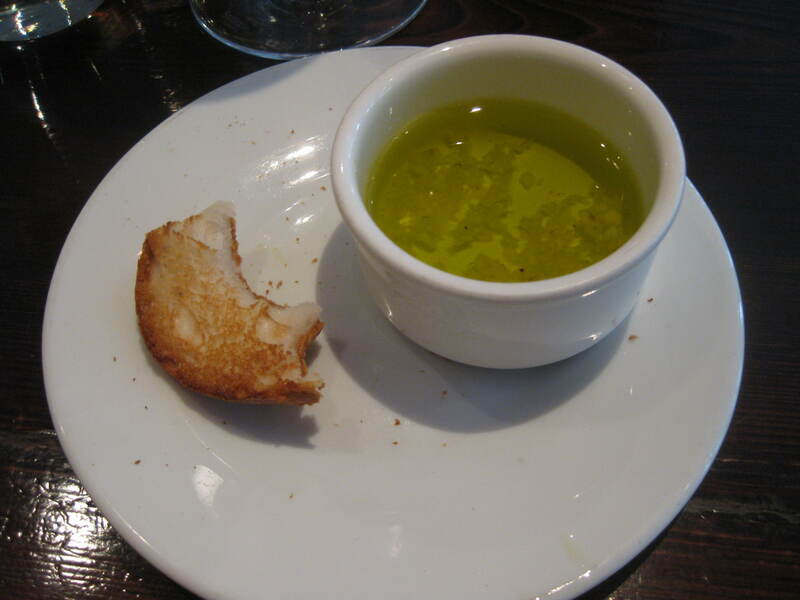 Servers are usually knowledgeable about which options can be made gluten free. Particularly recommended for their good-value brunch menu. You can’t go far without passing a Chipotle, so it’s a useful chain to keep in mind. Apart from the soft wheat flour tortillas everything here is gf (& the margaritas are good too). Huge range of soups, and salads too, not all are gf but in my experience the staff are happy to advise. Great for a quick and cheap lunch (though some of the fancier options are more expensive). On a more general note, diners can be good for things like eggs, bacon & omelettes, and there are plenty of cafes serving salads, soups and (sometimes) jacket potatoes. Sushi is also popular, and can be picked up all over the place – obviously avoid the soy sauce but also check for crabsticks, which sometimes contain flour. For a quick snack, Kind and LaraBar bars are available everywhere (I’ve seen them in pharmacies Duane Read/CVS/Walgreens, in bodegas/corner shops, and at kiosks), and it’s always easy to get hold of crisps/potato chips, popcorn and tortilla chips too. Whole Foods sells a good range of gf products, which are clearly marked on the shelves, other supermarkets are more variable. And if you find Liz Lovely cookies anywhere buy as many as you can carry.